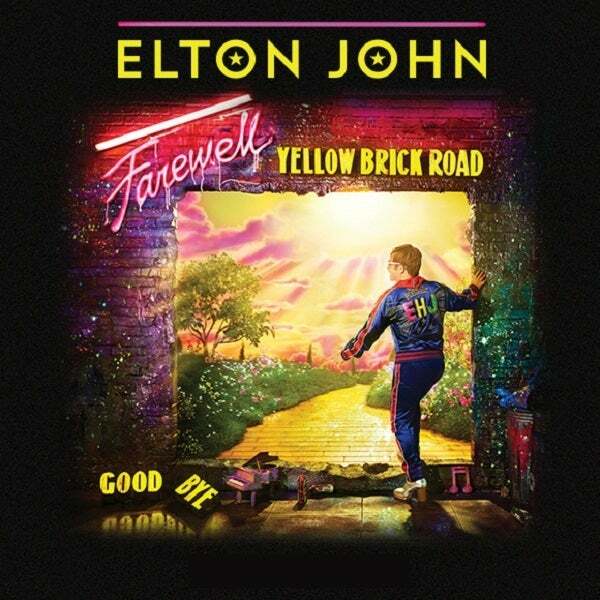 Due to overwhelming demand, superstar Elton John, recently crowned by Billboard as the most successful performing male solo artist of all time, added 25 additional North American concert dates to his sold out Farewell Yellow Brick Road tour, including two shows at T-Mobile Arena in Las Vegas on Friday, September 6 and Saturday, September 7, 2019. The tour will make stops in Salt Lake City, Tacoma, Memphis, Charlotte and Western Canada as well as return dates in Toronto, Philadelphia, Nashville, Cleveland and more. The Farewell Yellow Brick Road Tour kicked off to a sold-out crowd on September 8 in Allentown, PA. Taking the audience on a magical journey through his career, the show features some of Elton’s most beloved songs from his legendary catalogue including, “Bennie and the Jets,” “Rocket Man,” “Tiny Dancer,” and “Philadelphia Freedom.” Elton’s music has taken him to many places, opened many doors and inspired many passions in his life. The audience will experiences a rare glimpse into Elton’s life and the deeply personal meaning behind some of his greatest hits, with mesmerizing, never-before-seen photos and videos shown throughout the show from his incredible 50-year career. Tickets for these dates go on sale to the general public beginning Friday, October 5 at 10am local time. Tickets and VIP packages can be purchased at EltonJohn.com. American Express® Card Members can purchase tickets before the general public beginning Thursday, September 27 at 10am local time through Monday, October 1 at 10pm local time. A limited number of exclusive VIP packages will also be available starting Thursday, September 27 at 10am local time. These exclusive offers can include premium tickets, on-stage photo opportunities at Elton John’s piano, backstage tours, limited-edition lithographs, custom merchandise and much more. The Farewell Yellow Brick Road Tour presale is powered by Ticketmaster Verified Fan; a fan-first technology that was built to help artists combat ticket bots and get tickets into the hands of fans that intend to go to the event. Tickets for these events will be available through registration using Ticketmaster Verified Fan. Members of The Rocket Club will receive priority access to Verified Fan tickets at the beginning of the official presale period (Verified Fan registration is required.) For events on sale October 5, registration is available now through Friday, September 28 at 10pm local time. Verified TM fan presale will begin Tuesday, October 2 at 10am and run through Wednesday, October 3 at 10pm local time, supplies are limited. For events on sale after October 5, please check with EltonJohn.com for registration and presale details. Registration is required to participate in the TM Verified Fan Presale. TM Verified Fan Registration for all shows will begin Wednesday, September 26 at 8am local time. For more information and to register in advance, visit EltonJohn.com. In the course of his three-year FAREWELL YELLOW BRICK ROAD worldwide tour, Elton John plans to visit North America multiple times. Please visit EltonJohn.com often for new concert announcements. Elton’s career achievements to date are unsurpassed in their breadth and longevity. Elton is one of the top-selling solo artists of all time, with 38 gold records and 31 platinum and multi-platinum albums, over 50 Top 40 hits, and he has sold more than 300 million records worldwide. He holds the record for the biggest-selling single of all time, “Candle in the Wind 1997,” which sold over 33 million copies. ‘Diamonds’ the Ultimate Greatest Hits album, reached the Top 5 of the UK album charts on its release in November 2017, becoming Elton’s 40th UK Top 40 album in the process, reaching Gold status before the end of the year. This release celebrated 50 years of his songwriting partnership with Bernie Taupin. Forging one of the most dominant musical resumes, Elton was named the number 1 male solo recording artist of all time by Billboard in 2018. He has also written the music for stage and screen successes Billy Elliot: The Musical, Elton John and Tim Rice’s Aida, and The Lion King, which was named the highest-grossing stage show or film release in the world. To date, Elton has delivered more than 4,000 performances in more than 80 countries since launching his first tour in 1970. Among the many awards and honors bestowed upon him are 5 GRAMMYs including a GRAMMY Legend award, a Tony and an Oscar, a Best British Male Artist BRIT Award, induction into the Rock and Roll Hall of Fame and the Songwriters Hall of Fame, the Kennedy Center Honors, Legend of Live Award, 13 Ivor Novello Awards and a knighthood from HM Queen Elizabeth II for “services to music and charitable services.” In January, he received the Crystal Award for this long-standing fight against HIV/AIDS at the World Economic Forum in Davos. In 1992, Elton established the Elton John AIDS Foundation, which today is one of the leading nonprofit HIV/AIDS organizations and has raised over $400 million to date in the global fight against HIV/AIDS. AEG Presents is one of the world’s largest live music companies. The company is dedicated to all aspects of live contemporary music performances, including producing and promoting global concert tours, regional music events and world-renowned festivals. AEG Presents operates in North America, Europe and Asia with 15 regional offices. Touring artists include Taylor Swift, Paul McCartney, The Rolling Stones, Justin Bieber, Katy Perry, Elton John, Celine Dion, Kenny Chesney and more. The festival roster includes the iconic Coachella Valley Music & Arts Festival, New Orleans Jazz & Heritage Festival, Stagecoach, Desert Trip, Firefly, Hangout, and British Summertime at Hyde Park, totaling more than 40. The company owns, manages or exclusively promotes in more than 75 clubs and theaters worldwide, including Agora Theatre, Cleveland; Forest Hills Stadium and Webster Hall, New York; Shrine Auditorium and The Fonda, Los Angeles and Eventim Apollo, London. AEG presents more than 12,000 shows annually and conducts business under such globally renowned brands as AEG Presents, Goldenvoice, The Bowery Presents, Concerts West, Messina Touring Group, Marshall Arts LTD, and Madison House Presents. For more information visit www.aegpresents.com.